There’s plenty of room for discussion on this topic so I reached out to over 40 friends, collegues and others in my social network to get their opinion. Responses include a great mix of insights, metaphors and analogies from the likes of: Guy Kawasaki, Chris Brogan, Katie Payne, Peter Kim, Debbie Weil, David Meerman Scott and many more social media smarties. Say you want to build a house. You survey the site. You assess your needs: do you want a one-room cabin, or a sprawling mansion? How many rooms? Should any serve specialized functions? How many bathrooms are necessary? Pool? Garden? Once you’ve answered these (and more) questions, it’s time to go out and buy bricks, lumber, hammers, nails, windows and all the other stuff you need to get your house built. Not before. After all, how do you know what you’ll need if you don’t even know if you’re building a ranch house or a stone cottage? Same thing in social media. Facebook, Twitter, YouTube, FourSquare, Digg, delico.us, blogs and all the rest are tools in your arsenal. A means to an end, not an end in themselves. Sure, most are “free,” but “free” comes at a cost: time, effort, ideas and commitment. This isn’t chicken-or-egg. You need strategy before tactics. How else could you possibly know what tactics to implement? The majority of the market still suffers from “bright and shiny object syndrome.” Is it any wonder that they’re still struggling to figure out a Return On the their social media Investment? Ultimately a solution in search of a non-existent problem or a tactic in search of a strategy will only underwhelm, underdeliver and fail to deliver any real, long term and sustainable impact which is consistent with social media being activated correctly. There are so many outlets for social media that it is imperative to have a solid strategy before acting unilaterally in the space. If you make a mistake on a simple project, you only affect your company and the client. However, if you make a mistake in some social media space, it is potentially in front of thousands. There are so many different strategies you can carry out in social media, that it is imperative to have your whole team on board and in alignment. We have project planning every quarter for a day and then act on that plan the rest of the quarter. However the social media project is an ongoing discussion where we spend more time on strategy than we do acting. We are constantly revisiting what is going on with the major outlets. With new ‘tools/tactics’ launching every 2.7 seconds, or so it seems, the social media world over flows with options. It can be overwhelming to both novice and experienced social media marketer. Strategy First helps you identify which are the best opportunities to put into play to achieve your goals. You do have goals? Oh, that’s another conversation. Strategy before tactics on Social Media is equivalent to diving into a pool before looking to see if there is water let alone the depth to handle such. If you don’t spend the time, you knock out your two front teeth and be reticent to ever get in the pool again. And as we all know, this is a pool worth swimming in. The only thing true about online marketing – and by extension, social media – is that the tools always change. Three years ago, MySpace was king. 10 years ago, Yahoo! had 67% of the search market. A “strategy” that is based on tactical execution isn’t a strategy at all, it’s a recipe for playing a constant game of catch up. The trick is to focus on how you’re going to be social, not where you’re going to do social media. If there was an upside to last year’s down economy, it was the fact that it encouraged many big brands to dip their toes in the likes of Facebook, Youtube and Twitter. While experimentation in these social outposts was initially a good thing, doing so without an overarching strategy ultimately risked works against the brand in the long run. Imagine the chaos that might ensue if a company’s traditional distribution channels — phone, web and physical stores — didn’t align. Similar risks lurk below the surface of the social web if brands’ messaging and CRM capabilities don’t coordinate… except on the social Web, customers have an ability to tell their 200+ friends with the click of a button. Social media without strategy is like cooking without a recipe. Sometimes it works but sometimes its disaster. With a recipe, at least you know what ingredients to have before you get started. Along the way it’s great to improvise to make it your own but without at least a plan, you end up wandering aimlessly. How about research before strategy before tactics??? In social media you have to understand what is going on in your marketplaces and what people are saying BEFORE you jump in. It’s the old “don’t ask a social media expert if you should blog or Tweet, ask your customers first” — Once you know where the market is going, THEN you need to fit your organizational goal into the reality of the marketplace and see what kind of strategy might be effective. The last thing you need is tactics and tools. The C-Suite talks strategy, not tactics. And you are going to need their support if you even want ‘social’ to take root in the soul of the enterprise. You don’t need to re-invent the wheel when it comes to social strategy – borrow one if you need to. How could you go wrong with a strategy like: make listening to the voice of our community/customers central to how we make decisions as an organization. Tactics don’t take into account the customer need. They typically center around “doing something viral” or “doing social” or “creating a community.” Good social strategy forces you to understand and realize that if you don’t solve a real customer need with your actions, you’re already forgotten. Why strategy before tactics? A better question might be why do marketers shoot first and ask questions later? First, unlike other marketing tactics, the barrier for entry into social media is very low, so a lot of marketers think they can just jump in and base their strategy “later” upon a hollow number first achieved. They think this is data. There is this false perception that social media is black and white and its effectiveness is based on hard numbers. i.e. followers, subscribers and friends. That might be somewhat true but it reminds me of the early days of web analytics, when web traffic was measured on a “hit” and not much else. Sure we can measure followers, friends and subscribers but that’s merely the tip of the proverbial iceberg. Marketers in social media think they can measure their activity and effectiveness by looking at social media’s hard numbers, meaning they are measuring a gross aggregate number and associating it with “marketing” and effectiveness all in the same breath. A tactic first approach in social media avoids answering the questions “Why?” and “What For?” Movement for the sake of motion in social media doesn’t mean effectiveness. Using social media without a strategy is like writing your message on a paper airplane and aiming it out a window. Before you start engaging with customers you need to be prepared with what your goals are. Determine who your audience is, plus where and how to reach them. Most importantly you need a plan for how you will monitor the converation, respond to feedback and funnel it back into the company so you can be continuously improving. Why should social strategy come before tactics? Because you don’t ask a girl to marry you before you ask her on a date. Because Chevy doesn’t manufacture hoods before they design a car. Because you fill sandbags before a flood. While it’s tempting to sign up for Facebook, Twitter, [choose your social networking flavor of the month], just to “be there,” it’s critical to define your measurable objectives, test the waters, develop a strategy, and define evaluative criteria before jumping into the deep end of the social pool. Without solid strategy driving tactics, companies can find themselves questioning ROI, making significant missteps, or worse, annoying or offending stakeholders in both the long and short term. …because the payoff of a strategic approach to social marketing is effectiveness. As this chart shows, marketers in the strategic phase of social marketing maturity are much more likely to report that their social media programs are “very effective” at achieving objectives than are their counterparts in the tactically-oriented trial phase. I call Social Media w/ out tactics Zombie Media: Social Media w/ No Brains. Any marketing needs strategy before tactics not just social media. You use marketing tactics to drive a business outcome. If you’re expected to measure contribution to the business you need a strategy. If you haven’t defined that outcome (Goals) or how you’ll achieve that outcome (Strategy) then how do you expect to measure the result of your marketing? Developing strategy doesn’t have to be a complicated exercise. It can be simple and fluid. You simply can’t tell if you’re doing well or not if you don’t know what you’re trying to do. You don’t need social media for social media’s sake, you need it for business’ sake. If you’ve ever had an ounce of question as to where and how to start social networking (on or offline), I’d ask you what does your data say? Jumping into a social environment and starting to engage is like crashing a wedding reception and trying to network with everyone there. You might make some friends (and enemies) along the way, but are you really engaging with an audience that 1) is useful for you to engage with and 2) wants to engage with you? Most companies will put up a giant megaphone to the internet and “listen” to the conversations, spending time finding out where people are talking about the things they care about first – for 6 months and longer. This allows you to determine where people are talking about the things you care about (your brand assets and relevant topics), what they are saying, who’s saying it, and how they feel about it. With that type of insight, you can more effectively determine a social networking strategy, engaging targeted networks and people with a specific message or goal. “Social-media strategy” is over-rated if not a downright oxymoron. The goal is to do more business. Social-media is a means to that end. Maybe you’ll use it to establish warm and fuzzy communal feelings. Maybe you’ll sell excess inventory. Don’t focus on some kind of high-level strategy because no one really knows how to use social media yet. Focus on tactics: Get more followers, make them happy, promote your stuff to them every once in a while. That’s all you need to know about strategy right now. The most important aspect of strategy is to focus on your buyers and not your own ego. Only then can you create the tactics that reach people in an authentic way and that they are eager to consume. Would you pick up a phone and randomly dial 10-digits? Unless you’re prank calling, probably not. (Darn you, caller ID). The phone is a tool for communication, just like social media is a tool. Before making a phone call, sending a tweet or launching a blog, strategy is essential. It will guide the decisions you make, the platforms you use and how you interact. Strategy before tactics means, essentially, think before you talk. In other words, in any social-media effort for marketing or other business purposes, it’s important to do a gut check. What is your corporate culture? Who are you? This leads to other key questions: What do you want to say? What do you seek to accomplish using social media? what are the ground rules, the map to follow? This doesn’t have to be a 500-page manual or anything, but do look before you leap. Having a social strategy before jumping into tactics is imperative for long-term success. Short term tactics are okay for brands who are just testing the waters, but having a strategy will a help a brand think more holistically about becoming a social business rather than a business who can sometimes be social. Having a strategy will force brands (or small business) to think about culture change from within the organization which is required to transform into a social business. It will also help brands determine how to effectively integrate social into everything a brand does in their communications arsenal (web, PR, outdoor, retail, customer support, channel, B2B). You really need to know why you want to use social media and which tools are best suited to meeting that objective. A good start is to know where, on social media, your customers hang out and what you can give them by joining their activities. This depends on which objectives you have in mind. It can be sales, lead generation, support, feedback, new ideas. So many things can be achieved in social media. If you know what your goals are they will shape the tactic. Conversely, if all you want to do is get your feet wet, then I would advise you to get yourself a wading pool. Putting strategy ahead of tactics is a must for just about anything, but especially social media marketing. The problem seems to be so much confusion around what the word strategy actually means — a strategy is not a timeline or a goal, even though these elements are often included in what people refer to as a strategy document. The actual strategy piece is the spirit with which you approach others and engage with them. Engagement is not a strategy, but a high level tactic. HOW you plan to engage is strategic. Strategy also doesn’t ask about ROI, but about how you plan to win. Proponents of social media often “get” the strategy piece in an intuitive way, but that means they don’t always empathize well with those who don’t. The result is poorly articulated strategies centered around a single trendy tactic. Initiatives like this may be easy to launch, but they’re typically not very successful. Strategy needs to drive tactics, as companies first need to know where they’re going before they figure out how to get there. A lot of roads can get a brand from point A to B, but a good strategy will help selection of the optimal route, as well as how to respond if setbacks are encountered along the way. I can see where some people might recommend tactics first when it comes to social technologies – the space moves quickly and new opportunities emerge weekly. This actually reinforces the need to have a good strategy in place to evaluate and experiment with possibilities within frameworks that drive towards business goals. It’s a bit like baking a cake. Tactics are the ingredients that deliver the strategy. Decide on what kind of cake you want to bake first and why. If you dive straight into the ingredients and get the balance wrong, you could end up with a very bad taste in your mouth. Why do you put social media strategy before tactics? There is the standard cliche about making sure that you have blueprints before you build your house, but here’s a bit of a different take. As you achieve some initial success, you’ll soon have other business units asking “How did you do that?” and “How can we be part of that?” If you don’t have an agreed upon strategy things can get messy rather quickly. Having a strategy developed before tactics helps you manage the growth of your program. Also, working with different business units to develop a strategy in advance of tactics also helps with buy-in and keeps internal political battles and communication breakdowns from derailing your efforts. In practical terms, you want to know where you’re going so you can get there. Every resource you expend in business needs to be justified. Everything worth doing needs to be measured. Social media is no different. It may be a great way to share useful content in places where your customers spend time to generate interest for further actions. And it can provide powerful business intelligence back, straight from the people who buy your products and services. However, to capitalize on all of that, your process needs to tie all your activities together — the information sharing, the intelligence gathering, the communications, content creation, and anything else that happens in between. All activities aligned with and in support of the business. Without a strategy and goals, you won’t know how you’re going to measure results and won’t be able to answer the “so what” question. For example, we have 2,000 followers on Twitter. So what? Are they in our base or just robots? Why are we on Twitter? What are we going to tweet? And so on. Today many companies are working on optimizing social media, moving away from tactical approaches and working on the business alignment part. Tomorrow, we will hopefully see the ultimate strategy, which is that to optimize the business for social. I have a very short answer when someone asks me why strategy should come before tactics. Having your strategy in place, with your objectives set, usually means not having to go back and fix everything that you rushed to develop in your communications program. You must know the “why” part first, before you build anything, and use a listening strategy to determine early on what tactics will actually be successful with the people you want to reach. The strategy first approach saves time and doesn’t waste valuable resources. Strategy is the path one intends to take to reach a certain goal. Using only tactics in social media is like picking up the phone and dialing random people before you’ve even decided if the call is for a sale or customer service. The tools are there to serve the goal, and certain tools improve certain strategies. Starting the other way around is just asking for pain. The primary reasons businesses flounder with their social media integration is a) not clearly identifying their target market and which social sites these prospects visit most, b) lack of clear, measurable objectives and c) lack of a solid strategy to achieve such objectives. Thing is, there’s so much peer and media pressure to “get on Facebook (and, now, get Facebook on your site! ), get on Twitter, work on your blog, make videos.” But, for what purpose? What are you trying to achieve? By starting with the technology tactics piece first, you could be completely missing the mark and, in fact, might not even be building a presence where your target audience lives! Carving out time to architect a solid social strategy is vital for success in today’s uber noisy online world. Strategy starts with understanding what unique values we bring. It requires an overarching mission and understanding of the climate, systems, current conditions, and the character and culture of the people involved. Strategy is a practical plan to analyze and advance a position over time through understanding human nature and making good decision. Tactics or campaigns are the methods for executing a strategy. Social media strategy has to come first. Without a strategic mission — to build a community to strengthen a brand — social tactics at best gather momentum then end without building something larger that people (the social) can believe in and belong to. Tactics may gather followers and fans, but strategy keeps them coming back and bringing their friends. Tactics are fun, strategy is boring. Focusing on tactics, in social media as in business generally, in sport and other areas of human activity, appeals to people who like to get things done, action-oriented people. They say things like “ready, fire, aim!”. We need to have a bit of that in our approach, or we’ll never get anything done. But if we ignore strategy we have no way of managing the process intelligently, no way of measuring how we are going, no way of adjusting when circumstances change. Implementing a social media focused regime in business, going on Twitter, setting up a Facebook page, starting a blog, all without doing the hard yards on strategy, would be like trying to build a home without a blueprint: could be interesting, could get you on prime time television, but might not be livable. Strategy before tactics isn’t only relevant to social media it’s relevant for all aspects of business. Strategy should always be the backbone of anything you do. There’s no point in creating a presence on various social channels unless you have a very clear understanding of the business challenges you are looking to solve and an understanding of how you are going to solve them. Only then you can start to think about the tactics. What happened to Nestle recently is a great example of what happens when you put tactics ahead of strategy; it’s irresponsible, not accountable, and quite frankly stupid. Any company that puts tactics ahead of strategy will fail, and rightfully so. One of the biggest mistakes many people jumping into social media make is to focus on the tactical application of various social media platforms before creating their strategy. It is easy to get off track in social media, after all SM conversations vary dramatically day to day. By setting your goals and strategies before you start your outreaches, you ensure everything you do online includes your company branding, ensures your messages are delivered and can be easily tracked and measured. My rule of thumb? Determine your goals, write your strategies, create your program, measure and revise your strategies based on customer/consumer feedback. I think strategy should come first because your goals for social media usage are more important than the tools. You pick the strategy/goals, then that tells you which tools will help you best execute that strategy. The alternative is to pick the tactics first, then you have to pick your strategy based on the chosen tools. That’s obviously a recipe for disaster. It drives me a little nuts when organizations jump on the “shiny new toy of the day” bandwagon without much forethought. Often this happens because someone influential within the organization has seen a competitor doing it, or because it’s getting “buzz” and they think that buzz will automatically rub off on them. On the other hand, I’ve also seen organizations resisting social technologies because of fear, ignorance or internal turf wars (who will “own” social? ), regardless of how much these might help them achieve their strategic goals. You nailed it when you said companies need to “develop a strategic approach based on customer research and goals.” I don’t think you can keep your finger on the pulse of your customer and adjust your tactics successfully unless you’re working in the context of an overall strategy, one that is research-based and has goals and measurable objectives. There are so many different tactics you can use, and some of them even conflict with each other. If you ignore the big picture goals and strategy, then in the best case you wasted time and money, in the worst case you moved your company backwards. I have to smile about this request since I meet brand marketers on a daily basis who want to start their efforts in social media by creating a facebook fan page, or worse, already have taken this into their own hands prior to thinking through best practices, resources and ongoing engagement…let alone strategy, KPIs, etc…! I’ve put this to a stop via corporate governance/guidelines, but am still playing the role of an educator. I’m also seeing venues vary by brand depending upon the existing discussion. Developing a social strategy is a complex process that stems from business goals and objectives; it involves embedding listening (both mining and monitoring) into the organizational culture. Tactics are the easy part that follow. In today’s world of digital marketing, things are moving at an intense speed – so quickly, in fact, that today’s platform du jour may be tomorrow’s digital refuse. Remember Friendster, Jaiku and Splashcast? Perhaps you do. Or not. They are sites that faded from relevance, got acquired or shut down completely. Or maybe you’re more conversant with the white label social platform Ning, which recently announced that it’s ending its free service. Think of the implications if you’ve built a number of online communities that depend on the site. If you’re putting tactics in front of strategy, then you’re probably out there building profiles and pages on social networks that could just as easily succumb to the same fate. In other words, you’re busy chasing trends instead of focusing on what’s core to your brand and building a sound strategy that will outlast every technology upheaval. For the leaders out there, instead of building your plan on the back of everyone else’s success, maybe you should focus a little more on building your own. Thank you to everyone that participated in this post. It’s a testament to the power of social connections and social technology. My request went out on Friday and it simply amazes me that so many, arguably very busy, people responded the same day and some over the weekend. What are your practical observations and opinions about social media strategy and tactics? 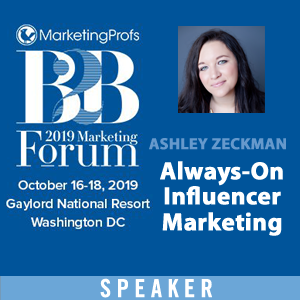 Why do so many companies approach social web participation based on tools and metrics like friends/fans/followers versus establishing listening programs to analyze their market, influencers and develop a plan to reach and engage them? It might be a lack of trustworthy information, it might be that social technologies are so new to senior executives. We’d love to hear your perspective. As a postscript, a good number of the responses I received were shortened for this post. We are putting together a downloadable compilation of everyone’s Social Strategy Before Tactics response in full. It will be posted in the next week or so. 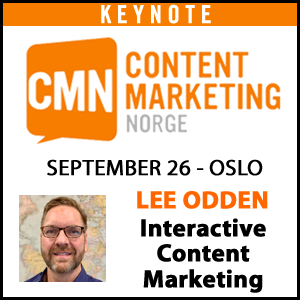 Details will be tweeted from @toprank and @leeodden. It might seem quibbling to some but I think the question itself misses out on the most important thing, which is vision. Where does social media fit into your overall vision? Vision governs strategy which should govern tactics. Lee, I'll share my thoughts too. 1. “Broad corporate wide commitments” have a tendency of not getting done and fizzling out. It becomes more about the egos involved then the the customers (read: people) you are trying to reach. Lip service comes from “management” and no one really truly buys in. An organic, naturally born b2b social media and content marketing program will likely lead to broader corporate wide adoption. Think @comcastcares – you think Frank got buy in from all of Comcast before starting a test? 2. The social web is growing every minute, if you spend all your time planning a strategy for the entire thing, you'll never start attracting and engaging the people who may one day become your new customers. A focused targeted approach to say, LinkedIn, is a great way for B2B companies to start interacting in B2B social media. That said, the one piece of every marketing strategy (social or not) that I am advising clients to stop and do before a full program or a small test is Buyer Persona development. 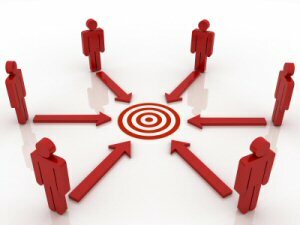 Your strategy and tactics on the social web must be driven by the *people* you are trying to reach (not demographics). The human side i.e. how you can help them be more successful in there jobs and life. All marketing does not have to be about products – as a matter of fact, the approach to B2B social media and content marketing should be about how to provide helpful, useful, relevant information that will attract and endear *people* to buy from you. 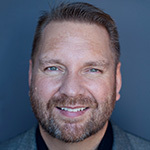 B2B companies must learn to go much deeper than in the past to determine how to make this connection on an “EMOTIONAL” level. It's this shift in thinking that will allow for successful tactics before a wide corporate broad approach. If this change in mindset doesn't take place, you'll fail either way on the social web. Thanks Jeremy, you've caught on to the reason I added that statement about experimenting. Too many marketing programs and new ventures in general have suffered paralysis by analysis. The tools are out there to develop those buyer personas, why not use them and better understand customers? Mike has it: values and vision govern everything. Thanks Mike – timeless advice! This is a great breakdown. I think as people involved in marketing, specifically, we look to the executive leadership of a company to provide the values, vision and mission. I know my thinking is that this should be determined as much as possible before determining any particular strategy. I'm just working this through having read your comments, but maybe where things get confused for so many people is in the social web's ability to inform these things after channels, tactics have been selected and utilized. Maybe the approach isn't as rigidly top-down for determining this, simply because the intelligence gathered in social media communication (as well as feedback from other marketing and consumer touchpoint channels) *should* make its way back to the top layers of the organization in order to tweak the values, vision and mission in accordance with changing a changing consumer client (or why not). Maybe what needs to become clearer for many of us is that while the strategy (as well as the other high level concepts you listed) need to be clear, they need not be fixed. While discipline is needed to stick to a particular strategy, there are many times when these things need to be adjusted. Do you think this slight update to the statement you provided would make sense? Or, should we keep things as-is? Hey Shannon, thank you for your additional thoughts. Personally, I think it's a strategy to be flexible. I'm sure Guy's response to the notion of strategy is based on a rigid format and of course, that would never work on the social web. An updated statement might be, “Strategy as Usual or Flexible Strategy Before Tactics? I agree. The best strategic plans have flexibility built into them to accommodate the changes which naturally occur as a result of market fluidity. Firstly, there are few things I've witnessed that cannot be improved upon, and this particularly applies to anything I've designed:) That said, good process accelerates good outcomes. What you've described is building in feedback loops to insure that corrective refinements and adjustments receive needed visibility. Feedback loops constitute sound business logic and should be incorporated into all processes, but this doesn't change the fact that strategy should drive tactics. The strategy or the tactics may change as a result of feedback, but in my opinion the hierarchy should remain the same. My general philosophy when it comes to social media (and indeed, ALL marketing) is strategy before tactics. I agree with David Alston when he says “The C-Suite talks strategy, not tactics” and I think you have to have your who, what, when, why, where and how in line so you can 1) get the C-Suite on board and 2) realize any sort of success with social media. Having said that, social media and it tools are constantly evolving -that's what makes this space so intriguing and exciting. There are times where you just have to dive right in and experiment. Let's say you're managing the on-site social media strategy at a conference, and you're tasked at the last minute with coming up with a promotion for a particular session. You might implement a certain 11th-hour tactic to generate buzz on the show floor and drive attendance to the session. That's just one example, and I'm sure there are many others of situations that we've all been in. This is certainly not how an entire campaign should be carried out or how a brand's entire social media presence should be executed, though. Experimentation is a necessity with social media, thank you for pointing that out Kari. The spirit of strategy before tactics has to do with understanding the channel and who the brand is trying to engage. That baseline understanding gives room to experiment with purpose. Excellent point, Lee – you do need to have that baseline strategy in place before attempting anything ad hoc or to experiment. Wow, what an incredible collection of thoughts. I will refrain from offering mine in this instance; there is so much great info to digest in this post! culture and mindset of an organization and also it's commitment to become a listener before being a talker in the conversation with their audience, failure and disappointment have a much higher probability to be the result. You make a very good point, “This does not mean there has to be endless strategizing preventing action”. Great post! I found it very relevant and the opinions of your fellow “gurus” stimulating. The question of how to embark on a campaign i.e. cart's relationship to the horse always comes up when orientating new clients to social media marketing. FYI, I'm in the strategy before tactics camp. This is awesome. Sounds like much less of a conversation and much more of a definitive resource for us all when our powers-that-be ask us to start chasing new tactics. Certainly we have to have a strategic plan. But I think a lot of us marketers are trying to hold water in our hands as more SMBs are anxious to “get out there” whatever it takes. Can't tell you how many clients I've talked down from the ledge of “Quick! We have to have a Facebook page! !” I'm starting to cave and let them walk here and there, then crawl then we can run…since walking with them calms them down, just like a baby. I suppose some companies feel more comfortable with poking to see what pokes back as a way to understand what the social web can mean for their business. Nothing wrong with that but there is a bigger cost to doing things that way vs planning ahead. Great idea to collect the thoughts of those we respect. I have written several posts about social media strategy and they're always well received. Any tactic that's an orphan to the parent marketing strategy will eventually be nothing more than a wandering rogue and budgetary pickpocket. Marketing common sense tells us to not release tactics into the world without a legitimate and specific strategy that needs them. Why is it that so many companies start with the tactics? Since I focus on social media strategy on my blog, your great post will certainly be mentioned. Thanks Scott. I'm checking out your blog today. Without a strategy or objective, which is even before strategy, how can a company include the measurement to see if they are moving the needle to the objective? This problem goes beyond just social media but is an issue across all marketing tactics. Objective first. Jackie, you've hit it on the head directly. Can't score if there is no goal. I love the graph provided by Sergio – I think that sums up very well what each phase should look like. I am surprised however to see SEO up there so high on the chart…with all those 'no follow' social media links what is the expectation of social media affecting the SEO efforts? It would be a very difficult metric to track indeed. Social media serves as an effective distribution channel to expose content that others often link to. The direct link from Twitter or Facebook doesn't matter for SEO as much as for traffic. But the people that follow that link might be bloggers or even journalists who then link to the source story. Besides that, who's to say what the influence of social signals are (nofollow or not) on the ranking of content in search results? When Guy replied he mentioned that I probably won't like his answer. I said I did – because there is a lot of lofty talk and I'm hoping people see the practical nature of his comment over seeing as a dismissive of strategy entirely. Absolutely agree with strategy being ahead of tactics, but just as Kari Rippetoe had said – media tools are being constantly evolving, and experimenting is an integrated part of any business activity. Question is, how far you are ready to go in your experimenting, and how often are you ready to change/check your initial strategy. Depending on the organization, there's always some type of experimentation called for. The dynamic nature of the social web calls for a flexible social media strategy that focuses and at the same time, allows for adjustments. Well that’s conclusive! Still, that question should be common sense. The fact that it needed to be asked shows how many people just don’t “get” social media. It’s not a cure-all where you use some tactics cribbed from an article and suddenly have a pool of money like Scrooge McDuck. It’s a tool, that needs to fit in with your overall business strategy. Hey Andy, you know what they say about common sense: It's the least common thing. Answering hard questions about who, what, why, when and where too often get trumped by “just do it” perspectives. I like the example of house building, seems very true and real…..We should have clear SMM strategy before doing anything practical with Social Media, Our each actionin social media is seen by 1000's of our visitors and mistake on any point can lead into problems. I have seen few bad examples recently where a wrong tweet on twitter about other person cost them their own positions to fall and reputation. Strategy comes before tactics. Tactics are occasional shortcuts while strategies are well planned devices to encounter odd situations. I think the question assumes a distinction and definition that isn’t always in evidence. There’s not really a way to do strategy well without considering tactics, and there’s certainly no way to execute tactics without thinking about strategy. It’s simply a matter of weighting. Some people will want to take a methodic and linear approach to strategy that leads to predetermined tactics; others will want to jump in sooner. In my opinion, this is a question of mitigating the liabilities inherent in your own personal style of work or company culture. If you’re prone to navel gazing and stalling out in the upfront thinking, you should push yourself to get to action. This is probably the more common scenario in larger companies where consensus reigns. If you’re prone to shooting first and asking questions later, you might try pausing a little longer to aim. There’s really no such thing as taking action with no thought at all behind it, so the question is one of how much and how formal is the “strategy” that gets you into motion. Thanks Josh, John Jantsch of Duct Tape Marketing offers a similar observation in his post about the poll. Strategy paralysis by analysis is indeed an unfortunate occurrence, especially in many large organizations. This is why I say it's perfectly fine to experiment but why not do some audience and channel analysis to make better decisions about what to experiment with? My take is, why not improve chances for success or positive outcomes by better understanding the audience you're trying to engage and their preferences for engagement? I love Guy’s comment. I’m more the relaxed, laid back sort of marketing personality. Their is too much stress and tension out there already. Dozens of expert comments… One contrarian in Guy Kawasaki. He says strategy is overrated and an oxymoron because nobody knows how to use social media? Gimme a break, Guy. Lots of people know how to use it—strategically and effectively. I have one floundering client who thinks the way Guy does. His motto? “Don’t build a warship. Instead, launch 100 canoes and learn from watching 99 get blown out of the water.” While I don’t advocate analysis paralysis, there IS wisdom in strategy. My motto? Objectives, then strategies, then tactics… Oh, and SHIP!!! per Seth Godin. As for your analogy of launching 100 canoes to see 99 get blown up…it doesn’t work because there is no “getting blown up in social media.” The same thing applies to the analogy of building a house without architectural plans. Social media is a evolving, constantly moving target. Canoes don’t get blown up. They might get capsized, but then they are easily righted. Even Dell, which early on blew it with its support policies, is roaring back with things like @Delloutlet. Social media isn’t like building a house because changing a house is hard–moving walls, electrical, plumbing, etc. This isn’t true with social media. If you built the wrong social-media “house,” it’s trivial to change it. Spending months drawing up plans is wrong. In fact, by the time you draw up the plans, the market will change anyway. So yes I am recommending letting it rip, launching 100 canoes, and building houses without plans. All of this is possible because it’s so easy to “fix” social meda, and the only way you know what to fix is to ship. Count me in Guy's camp. Strategy and tactics are single seller perspectives, period. The thought process is 'find' the mark, shake them until money falls out. Oh, by the way, you have to 'help them' by offering 'free' valuable stuff and not sell to them. In the old days the ratio of posters to stalkers was anywhere from 1:10 to 1:20. How would you know who is using social media well? Better still, who has the ROI calculations? Social Media is for marketers. Terrific line of responses here, Lee. One thought to add: the “Social Communications” transformation we're just starting is going to require many companies to re-think business strategy, not just their “go to market” strategy. Re-aligning and empowering employees so they can communicate with customers and prospects means marketing, sales, stores and customer service are going to have to share who “owns” the customer at the same time, rather than handing off responsibility. It will also require companies to blow up their “command and control” mentality about go-to-market communications. Thank you for your insight. The issue is often much larger than social or marketing, but fundamental business strategy. I think when you approach anything online a proper definitive plan is in order. It is probably even more important with social media. So many conversations so little time. Ok, a quick survey of the above experts places me squarely in the minority (along with Guy Kawasaki, so not a total loss). The companies we talk to (50% Fortune 500 level) have little to no idea of what 'social media' means. Many companies have communications teams/leadership that barely uses Facebook (they usually have a Linkedin profile and check it with great regularity – once a month). I don't think it's an issue of tactics versus strategy. In fact, many of the metaphors make sense 'Don't build a house before you plan, don't take a trip before you figure out the destination'. Except that we're dealing with a group of people who've never been in a house, or traveled outside their village. It is impossible to determine strategy when there is little understanding to work with. The vocab of social media is confusing. The ideas/values of social media are counter-intuitive. The purpose of social media seems to be without purpose (the most common response to my 'do you twitter' is – I'm too busy to tell people what I've had for lunch – sigh). So, we start with the experience. Then we decide what we want to do (kind of). It usually takes a bit of exploring the idea of social media (by doing it in small and innocuous ways) to really understand what's possible. Chris, strategy in the context of this post and I think as most people understand it, has to do with making an effort to understand the audience or customers you're trying to reach and where with the expectation of reaching some mix of objectives. The alternative of basing all efforts on experimentation without purpose is hardly productive except for the experience. I agree many company marketing/communications people are fuzzy on what social media is, but that doesn't mean the goals that can be reached aren't real. It doesn't mean that those companies can't be educated about what's possible, what's already been achieved and what makes sense in terms of planning and goal setting. Being flexible is not doubt important and I don't think anyone that has actually helped companies achieve business goals using social channels would say the strategy has to be rigid. I agree that strategy is more effective than tactics. It is important to actually figure out how compatible a subject is for a certain social media channel. Some really great opinions here. After listening to Jason Falls' presentation on 5 Ways to Measure Social Media Marketing Success at the SMSS Summit earlier this week, I'm not sure you could very well measure success of your program if you don't know what you're aiming for. I think you do need goals, objectives and a strategy for attaining them, and you certainly don't want to be playing in a sandbox that isn't going to bring you some benefit. On the other hand, with the constantly changing landscape you have to agree to be flexible going in as other opportunities make themselves clear. My thinking is that it's probably best to take a hybrid approach – know where your customers are hanging out and come up with ways to best reach them and resonate with them. Stay flexible to take advantage of new opportunities and scrap those that aren't working as well as you'd like. As new platforms come out, perhaps send some canoes into the water to see what happens. Watch results and see what works and what doesn't work and then refine, refine, refine. I think then you get the best of both worlds. You have a flexible roadmap, you know what you're trying to accomplish, yet you're limber enough to jump on new opportunities for all they're worth. A great strategy is a tactic. Nuf said. Thanks for Sharing these informative information.I m also sharing some points on social media strategy. 1. Why social media? Do you want to build stronger relationships with customers and prospects? 2. What kind of social media will help us best achieve our goals? In some respects, talking about a social media presence is like talking about having an advertising presence: you must specify what you're doing and where you're going to place it. Great I like the graph provided by Sergio – I think that sums up very well what each phase should look like. I am surprised to see up that SEO is high on the chart…with all those 'no follow' social media links what is the expectation of social media affecting the SEO efforts? It would be a very difficult metric to track indeed. Nearly all of the panelists prescribed developing a strategy first, but I wonder how many of them did exactly that, or did they just jump in and learn? How many companies and people simply start using these sites while you're sitting in a conference room with 17 people determining your 47-page social media strategy? It's true, before throwing half a million dollars at a trade show budget or banners, directories, PPC, microsites, print ads, brochures and whatnot I'm going to build a strategy. Before figuring out what tags people in my marketplace use or what hip urban dictionary language to use in my blog post, I just need a few people to check it out for a week. Then we're going to set it up and go talk to people. Like humans. This is nothing like designing a house first before building it, because the house is already up and the party is on. Just bring something people will drink. I am curently taking a social media class for by MBA program and we had a great guest speaker Jeremy Epstein from Dandelion Marketing. He posted on line a very good free guide to using social media. Sure he tries to promote his business in it but he makes some good points.